The Instagram feed for Southwest Sequel #SWS18 is a story of courage, resilience, and growth. @tlsvoyages Southwest Sequel in full swing. #SWS18. Between the hashtags and comments from those impressed are 7 days of non-stop, action-packed, thrill seeking in a world that seems to exist on its own. Last summer, TLS Voyages traveled to Costa Rica. 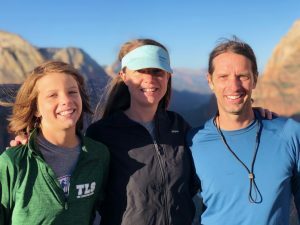 This summer, it was Utah and the “SOUTHWEST SEQUEL” with rocks, canyons, hikes, bikes, heat, sun, and Lexington School alums from the classes of ’14, ’15, and ’16. Between the once-a-day posts for those of us who ogle are forces that converge to build human and natural connections. It is larger than media can make it. It is another step along the metaphorical hike that leads to heightened growth and self-awareness as these young people make their way towards college and life on their own. Southwest Sequel takes it out and up, and UP A BIG NOTCH. @TLSPhysics (Chris Johnson ’89, TLS science teacher and Dean of Students) and @beckyjlex (Becky Johnson, TLS history teacher and Director of Professional Development), beloved TLS faculty, lead the trip, one of several trips focused on reconnecting young TLS alums with experiences outdoors and abroad. chrisjohnson TLS Voyages is for young TLS alums to take what they learned on middle school trips to an elevated level. We give them the blueprints to take their own adventures later on, to be in charge of their own exploration. When they have more ownership, they see more of what goes into pulling something like this off for themselves. 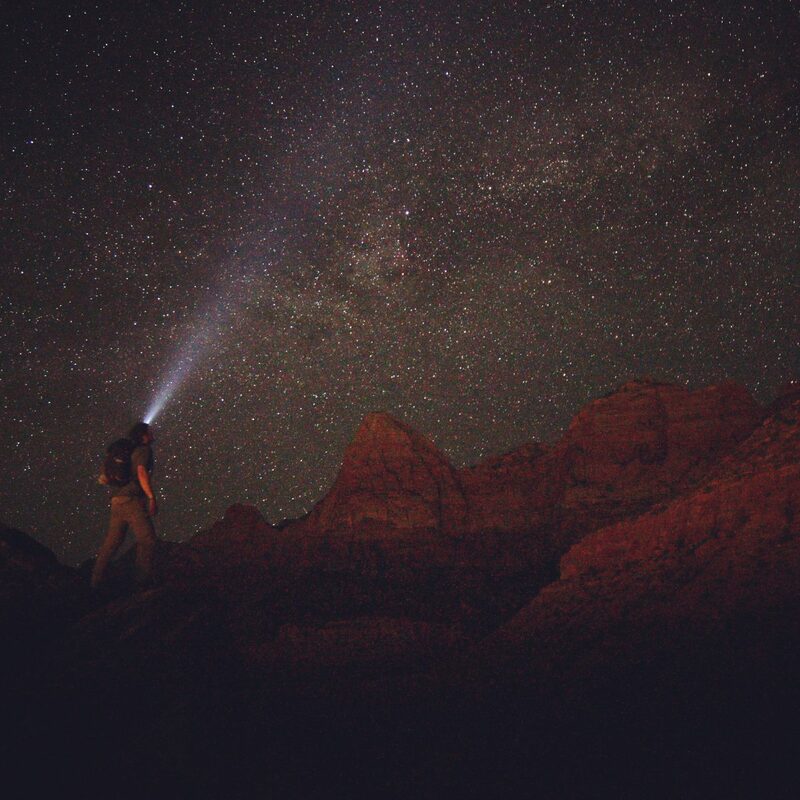 Without fail, they rise to the occasion and feel empowered after taking one of these trips. They are capable of more, so we push them more, teach them more, and they absorb more. jtot loved it so much I did it twice. Both at sunset, amazing!! cunningham Afraid of heights! Can’t even watch it! tlsvoyages climbing and swimming today…..canyoneering tomorrow! tlsvoyages The last rappel of the day. Coooold water swim to finish. 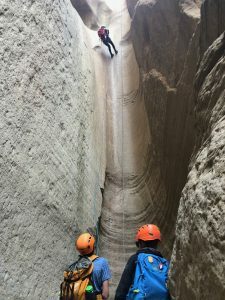 cjohnson Harder, more technical, canyoneering routes really test the students and push them. We teach them how to set up anchors, and because we do multiple days and have smaller groups, the kids are more in charge of pace, safety, and setting up the belay stations (we check them all of course). The kids are much more in control of the decisions on these routes and on the trip in general. They are older and more mature, so we typically give them options, and they choose what to do and when. tlsvoyages Last day in Utah was a good one! Rock climbing at Prophesy Wall outside St. George plus swimming at Gunlock Reservoir. tlsvoyages We’ve had a week full of adventure, laughter, not much sleep, lots of sun, and too many memories to count. This group of alumni could not have been a better bunch to travel with. They committed to every single challenge and soaked in every last opportunity to enjoy the Southwest again. It’s always hard to say goodbye after a trip like this, but we have a feeling this group may be hitting the road together in the future. cjohnson one of our favorite things is seeing the kids step up and take charge. It’s honestly like they are co-chaperones. Amazing. Hope to see them again in Costa Rica 2019!